Everything we dreamed off and more. When Vickie called me to say she and Neil wanted to go on a Journey To Africa Safari, I was super excited. See, Vickie and Neil are world travelers. They have been to every continent with famous large travel operators. I was up for the challenge to show them my Tanzania and provide them with the same quality service they had come to expect - and more - because we are into tiny personal details. 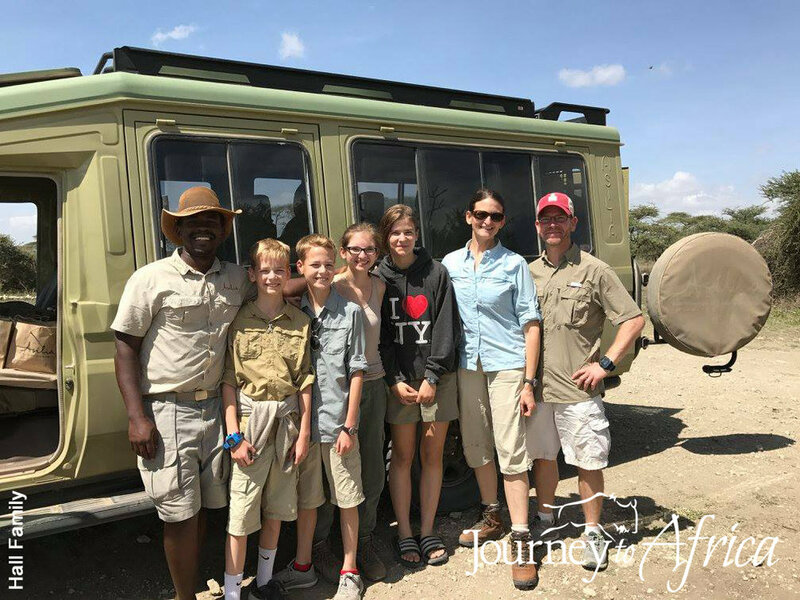 Safe to say, they had an amazing time and even after a few years, Vickie and Neil are still great supporters of Journey To Africa by constantly sending us referrals. Asante Sana Vickie and Neil. 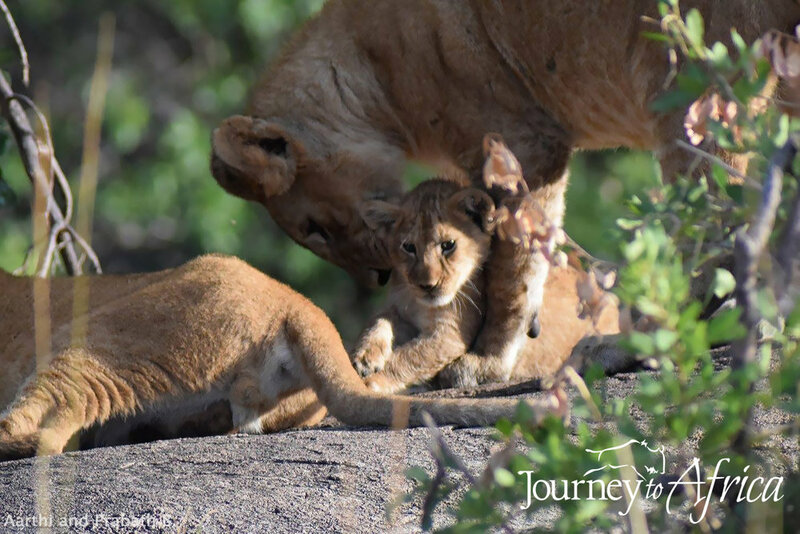 "Amazing, incredible, life changing are just a few words I use to describe our "Journey to Africa". We wanted our own guide. We wanted to experience five luxury camps at our leisure. We wanted to go on a minimum of three safaris per day. We wanted to meet Maasai , Hadzabe, Datoga tribes and experience their cultures. We wanted a hot air ballon ride over the Serengeti. We wanted to see the "Big Five"
We received every single item on our personal wishlist, and much, much more! Everyday was at our leisure, perfect for us, as we didn't want to share a vehicle or a "time line" set up by others. We saw lots of game on all our drives, we witnessed a couple hunts and kills - we were there during the migration. While in Ngorongoro, two well known "five star" outfitters zoomed by us missing a beautiful leopard sleeping in a tree very close to the road. They were on a "scheduled tour" staying at the same lodge as us. Their guest informed us they have to stay on schedule so they couldn't stop for the leopard. We stayed in the same world renowned lodges and camps as other outfitters but, we were offered something that they couldn't provide, a personalized experience. We experienced everything we dreamed of and more!!! Tanzania, you bring so many people together. When Jann came back from her second Safari where she took her friends to Tanzania, asked if I would come to California for a post Safari party, I said YES. I am so glad I did. We shared so many different Safari stories over glasses of wine. Jann, my lovely friend knows how to throw a great party. She asked the McLeans who had been on the first Safari with her as well as friends who are interested in going to Tanzania - the Safari bug is contagious. The group that went with Jann enjoyed a reminiscing party. We enjoyed going over the Safari photos and there were many good ones to ooo and ahhh over. And yes, lots of Safari Stories. Judy and Kathy talked about their wonderful time with the Maasai ladies in Mkuru. Jeff, the only guy in the group, called himself the harem leader -- maybe like the impalas. He really enjoyed his time with the Hadzabe tribe. The hunting for food and berries was truly an experience he would want people to partake on their Journey To Africa Safari. Karen and Linda were just so happy they said Yes to joining Jann on her Safari. Yes to going on a Safari with Jann. Yes to meeting up with a great bunch of friends and sharing our Safari Stories. Yes to many more Safaris to Tanzania in the future for Jann, Judy, Kathy, Karen, Jeff and Linda and their friends. Yes. Make your Safari Party happen. I would love to come for a pre or post Safari Party. I am always up for a Tanzania chat.